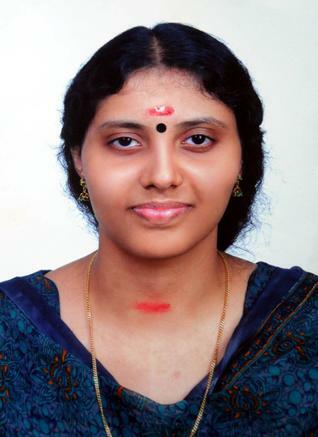 Haritha V. Kumar, 1st rank, Woman tops civil services exam for 3rd year in row; First 2 ranks go to Kerala. For the third consecutive year, a woman has topped the prestigious Civil Services Examination. Haritha V. Kumar from Kerala, a probationer of Indian Revenue Service (Customs and Central Excise) 2011 batch, has made it to the top slot of the coveted exam, according to the results declared on Friday by the Union Public Service Commission (UPSC). The top position in General, Scheduled Tribe (ST) and Scheduled Caste (SC) also been secured by women candidates. Kumar, who is undergoing training at National Academy of Customs Excise and Narcotics (NACEN), holds a Bachelor of Technology (Electronics and Communication) degree from Kerala University. Haritha initially did not believe it was true as she thought her friends had played a prank. "I did not believe that I got the first rank. My friends told me that I am the topper but I refused to believe. They dragged me and showed it to me on Internet and then only I believed them," Haritha, a BTech degree holder. Haritha and two others - Sri Ram V (Rank 2) and Albi John Verghese (Rank 4) - from Kerala are among the top five in the Civil Services exam. The third rank was secured by Delhi girl Stuti Charan. 27-year-old Haritha, who hails from Kerala's Thiruvananthapuram, is at presently working as a probationer of Indian Revenue Services (IRS) undergoing training in National Academy of Customs Excise and Narcotics (NACEN) in Faridabad. "I am very happy and you know nobody expects that I will get first rank. I thank God and parents. Special thanks to my teachers and friends," said Haritha, for whom getting a rank in academics is nothing new as she had earlier ranked seventh in Class X in Kerala. This was the fourth time she appeared for the Civil Services exam and had previously ranked 179 and 294. "I did not clear the exams first time. I got 179th rank in the second attempt and got IRS. But last year my rank dropped to 294. I did not lose heart and my efforts have borne fruit," she said. Haritha, who has studied engineering, chose economics and Malayalam as her main subjects for the top most exam in the country. "One's life revolves around economics. For any problem, you can find that the root cause in economics. Malayalam is my mother tongue and from my childhood I have a special liking for Malayalam". It is after two decades that a candidate from Kerala has emerged topper in the All-India Civil Services Examination. If you are planning to appear in Civil Services Examination, have courage and work hard in right direction without giving heed to negative thoughts. Intelligent hard-work in the right direction is the key to success. Thank you all for the support, love & prayer! If a student is meritorious & successful no one can discriminate him or her of an opportunity. Our constitution provides enough rights for every student to achieve excellence. Students should constantly analyse their strengths and weakness and work systematically to achieve their cherished goal. Cracking civil services is not tough, even average students from a rural areas can pass it, provided they are willing to work hard and dedicate enough time for preparation. If a student wants to serve the nation, then public service is the right platform. No where in the world minorities enjoy such freedom as provided in the country. Sri Ram Venkittaraman and Stuti Charan have bagged second and third positions respectively in the examination. Sri Ram, who has earned Bachelor of Medicine and Bachelor of Surgery (MBBS) from Kerala University, has achieved the distinction in his second attempt. Charan has done Bachelor of Science from Jodhpur University and Post Graduate Diploma in Personnel and Marketing Management from the Indian Institute of Planning and Management (IIPM), Delhi. It was her third attempt. Shena Aggarwal, an MBBS from the premier All India Institute of Medical Sciences (AIIMS), had bagged the top slot in the civil services examination 2011. While Chennai-based law graduate S Divyadharshini topped the list in the 2010 exams. It's important to take a tips from IAS qualifies while preparation of IAS. Thank you for giving most suggestion for preparation of IAS. Hello I Am nitin , Student of Paradigm IAS academy. Best Article shared thanks ! Your Blog post has exceptionally supportive data. Much obliged concerning share.... .
where to get books for UPSC exam Preparation book? because i want to crack UPSC exam in 2014 any how i want job. please tell which book i should prefer ? 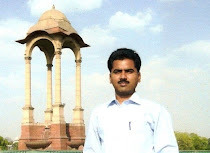 I am a student who finished 12th standard this year.I would like to know if there is any problem if I do my degree course in a deemed university.I heard i won't be able to attempt any exams conducted by PSC if i learn in a deemed university.I would like to write the civil service test.So i planned to go for Integrated MSc in mathematics(5 years).So will my education in a deemed university be a problem for the IAS exam? I joined Mains Test Series at Chronicle IAS Academy. Overall quality of questions and evaluation was as per the Civil Services standards. Thanks Haritha for giving these knowledgeable tips.its very helpful to find the success in IAS. Your blog is very useful and provides tremendous facts. Visit ICE GATE Institute and get better rank in IES Exam 2017. Bureaucrats IAS Academy, Dehradun is best Civil services, UPSC and IAS coaching center for top level preparation. best RRB coaching center in chennai latest study material's with best training. best IBPS-bank exam coaching center in chennai latest study material's with best training. best Upsc-IAS coaching center in chennai latest study material's with best training. best TNPSC coaching center in chennai latest study material's with best training. Read This Inspiring Story of Topper!